Using the light expelled from celebratory Halloween-themed gourds, this charm lights the dark and dreary hallways within the Labyrinth, keeping the Shadow Stalker at bay! Glowing Gourd Charms can be bought with 1 Halloween Candy and 2 Rift Candy at the Haunted Terrortories Charm Shoppe. The Glowing Gourd Charm repels all Shadow Stalker mice in the Labyrinth or Zokor. The same effect occurs when Glowing Gruyere Cheese is armed, so this charm is best used when hunting with other cheese. 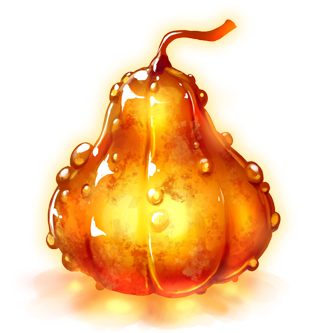 21 October 2015: The Glowing Gourd Charm is released as part of the Halloween 2015 event. This page was last edited on 19 May 2017, at 20:23.